One of the main perks of having men in your life is the oversize clothes! I didn’t realize how big of a thing boyfriend sweaters were until my friend and I were shopping at a men’s street wear store. At first, I didn’t even realize it was a men’s store because so many of the other customers were ladies! You can wear a boyfriend hoodie with leggings as a comfortable, no-nonsense outfit. It’s great for casual days when you’re mainly working on your computer or running errands. 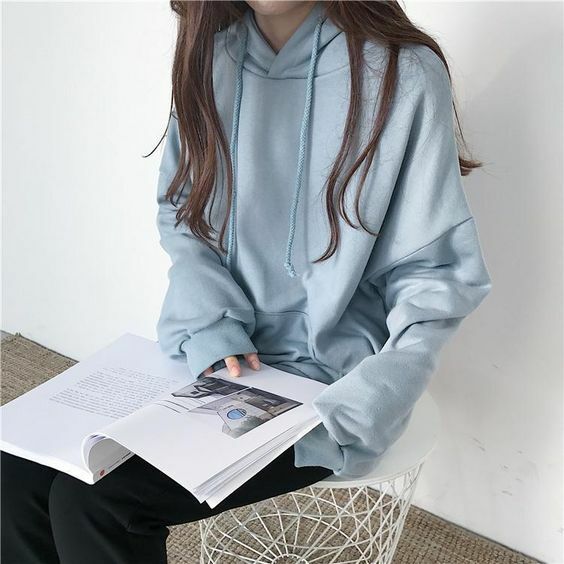 Since these hoodies and sweaters are so big, you can even wear them in place of a jacket. 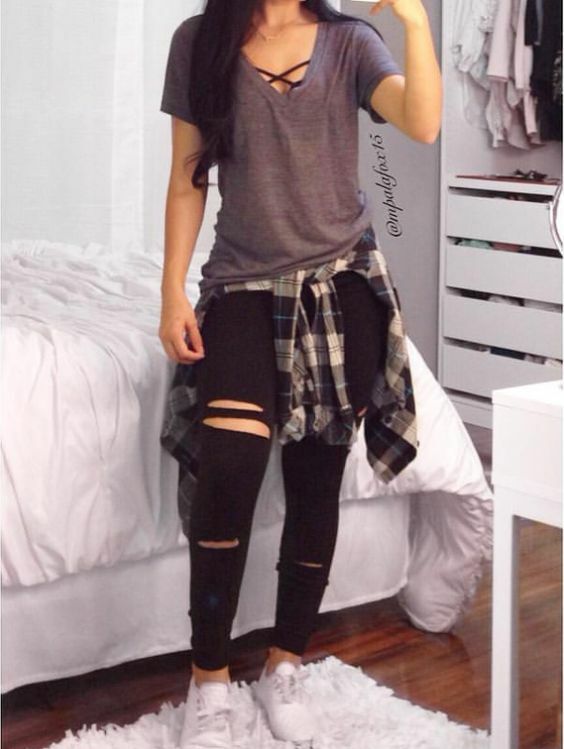 Nothing screams fall like flannels! Flannels are a great layering piece because they’re actually made to keep you warm and you can tie them around your waist if you get too warm. Black Market Toronto is a great place to find good quality flannels for $10 or less! I remember always tying my hoodie around the waist as a kid. I guess this is the grown up version of that. I love wearing a red flannel with a moto jacket. If you wear a lot of black, a red flannel is a simple way to add a pop of colour. But keep in mind that there’s tons of different colours to choose from! Not ready to let go of summer style yet? For skirts, you can swap lighter materials for thicker ones like corduroy, pleather, denim, and wool. Wear it with thick tights or over-the-knee socks and you’re all set for the colder temperatures. Even if you have a summer skirt you’re not ready to put away just yet, you can “autumn-ize” it with thicker tights. The same goes for dresses! 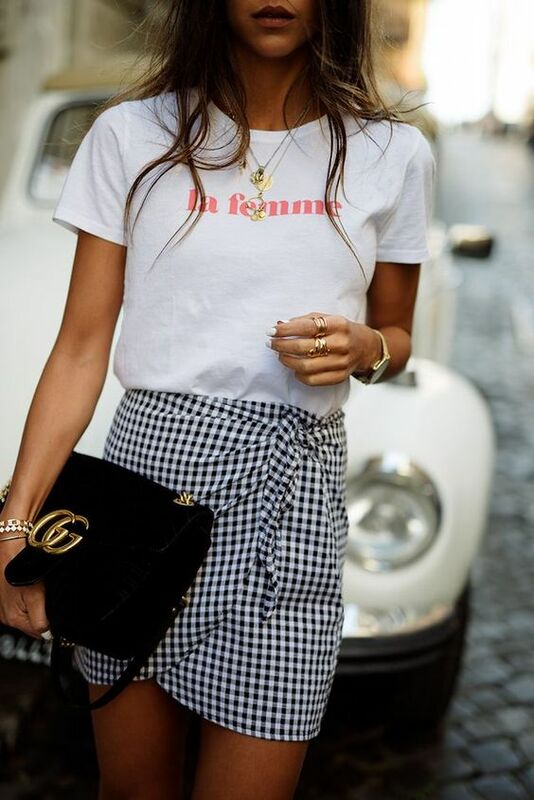 I like pairing skirts a graphic tee and moto jacket for a rebellious, dressed down look. To dress up this outfit, you can wear it with an elegant blouse and statement jewelry. 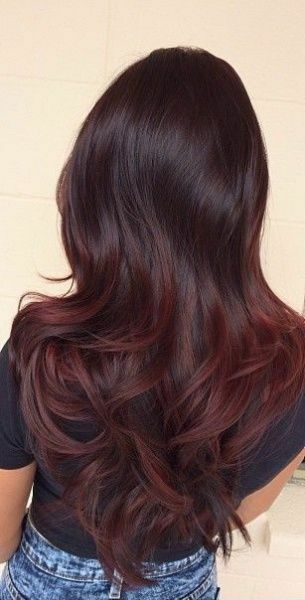 Whether it’s hair, makeup, or clothing, burgundy is an extremely wearable colour because it’s not at all overbearing. Burgundy sweaters or blouses with black jeans are such classic fall outfits. Burgundy, in general, is a very forgiving colour that can go with any outfit. 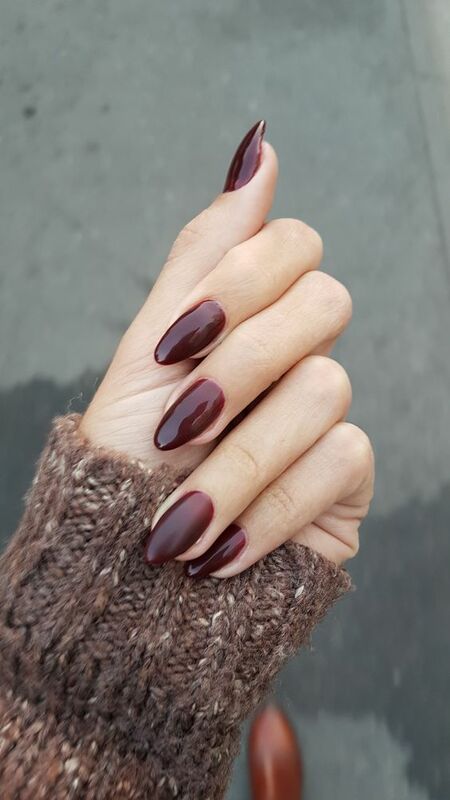 And there’s never a bad time for a deep red or burgundy manicure! Buuut….if you like eye-catching colours, burgundy may not be right for you. Personally, I’d rather wear red since it is my favourite colour.